In recent years, the world has turned to working and ‘living’ online more than ever. With larger increases in people being involved in social media, now is the time to ensure your business captures their interested audience from platforms such as Facebook. With the popularity of Facebook growing, more businesses are cashing in on Facebook marketing strategies. There are a number of ways to ensure that your company’s Facebook page works for you, increasing awareness of your brand and ultimately, profit. This sounds fairly simple, however, it is surprising the number of businesses that start a page and then do not update it. Yes, the odd customer may find you, however you need to engage with your users. If you engage with them, they will hopefully ‘like’, ‘share’ and ‘comment’ on your posts, thus increasing your brand awareness into the market. A general rule of thumb is to use the 80/20 rule, by sharing 80% owned content and 20% gathered content from external parties. This shows your awareness of the world around you, but also can build an effective online community. If you share content from a relevant page, not only do you have the potential to capture their audience, but you may also get your own content shared. On another note, think about the perception of your brand to your audience. It is easy to spot well thought out content, compared to something that is rushed. It is always worth taking a couple of minutes, to check not only your spelling and grammar, but also to check your content actually is relevant and putting the right message across. It is always good to see a page engaging with fans. If someone has taken the time to post to your page, be it positive or negative, it is always well received and improves your reputation to provide a reply. Even if it is a simple ‘like’ of a positive review, or being open in your response to negative feedback, it makes your brand seem open, honest and prompt in their response. Facebook gives you the chance to analyse how users engage with your page. This gives you, through Facebook Insights, the chance to see what is working and what potentially needs some work. If you find a find something that is working for your audience, it maybe worth building on this success, however always be aware of your weaknesses and strive to improve upon them. Trial and error is key. Facebook is a brilliant marketing tool, allowing you to engage with your audience on a conversational level, seeing what works for them and what doesn’t. By consistently posting and engaging with your audience, following up with analysing what is working for your brand and identifying weaknesses you can improve your online presence. 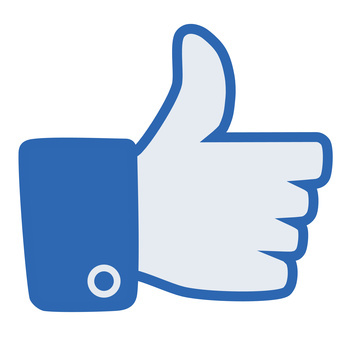 Facebook is a valuable tool, use it! This entry was posted in Social Media, Tips and tagged Facebook, Social Media on October 27, 2015 by Pinnacle.